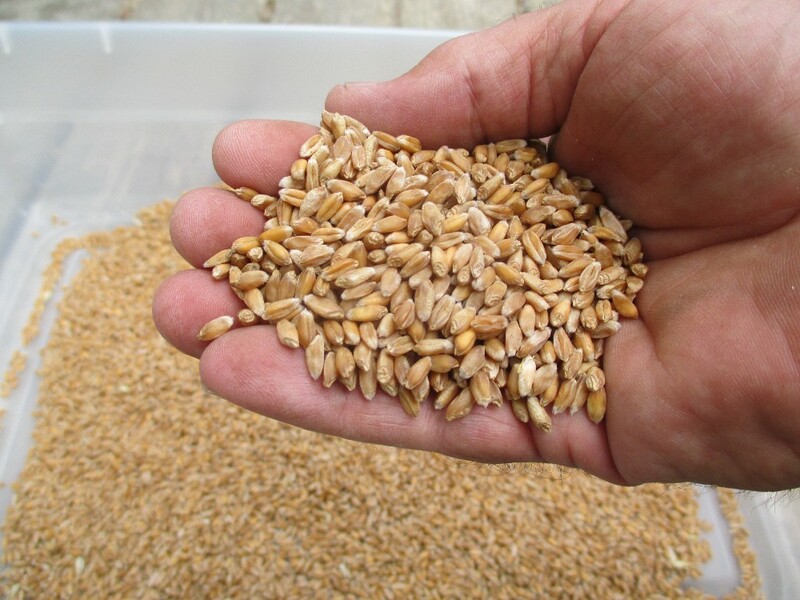 It is that time of the year again to start planning for winter grains. Here in Northern Indiana, I usually plant around the first of October. Our Hessian Fly date is September 15th. With the uptick of strange weather I opt for planting a little later into fall to be on the safe side. I know that my region has been wavering between what we used to be (zone 5) and what we may become (a zone 6). 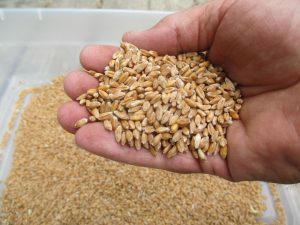 I currently have available the following winter wheat varieties: Banatka, Ukrainka, Rouge de Bordeaux, Red Fife and Turkey Red. These have proven to be very reliable and are all excellent “free threshing” bread wheats. In addition, I have added 2 new Italian varieties, Solina and Terminillo, both of which did well for me this season, although I would give the Solina very high remarks! The Terminillo is something a bit different. It is a cross between rye and wheat but it is not triticale. The seed for both of these were sent to me from Italy and they are the product of Italian farmers and not sourced from a Institutional Seed Bank. I also have Sangaste’ Estonian Rye and 2 “spring” barley varieties, Sumire Mochi and Faust, that survived last winter with no issues. These are both “free threshing” and also produced the earliest harvest of grain I have ever had (June 12th). This last winter was fairly mild overall, although we did hit some lows early on nearing -15 fahrenheit. If you live in a zone 5 or colder I would suggest a trial planting to see how these barleys fare in your region. The desire to experiment with certain traditionally “spring” crops as fall planted comes from my conclusion that early spring planting here in my region is a real gamble. This spring (2018) was one of the wettest I have experienced, with June having 15 days of measurable rainfall. Aside from getting the crops in the ground, disease issues were problematic for many of my spring planted wheat varieties. The barley trials managed better than the wheat, but given all the rain during flowering and grain fill in June, fall planting appears to be a better option for barley as well. Oats seem to be little bothered by all the wet as long as one can get them planted early enough. With that said, my seed offerings for 2019 will be the last to include spring planted wheat and barley. I will be focusing solely on fall varieties. In anticipation of this change, I am excited about planting this coming October, a number of Republic of Georgia wheat cultivars, winter durum wheat and a new variety of hulless barley,bred for fall planting. As usual, I will have all other seed varieties available around the middle of November. 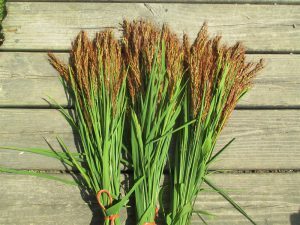 For the 2019 season I have a number of new, early maturing upland rice cultivars, including 2 red “sticky” types. Gaspe’ flint corn will be available as a composite of 4 strains. I am able to begin selecting for the best ears, now that the Gaspe’ genepool is broader. This is an example of a new stage in my seed saving efforts. I will be doing less trialing of new material in the future and instead, be working with the best varieties I have found over these last 6 years. Here it is the last day of May 2018. I have suspended my seed selling while I give my full attention to growing out crops for the 2019 season. I will have fall planted grains available in late August. All other seed varieties should be available in mid-November. I say the season ended with a “splash”, or rather a “torrent”. 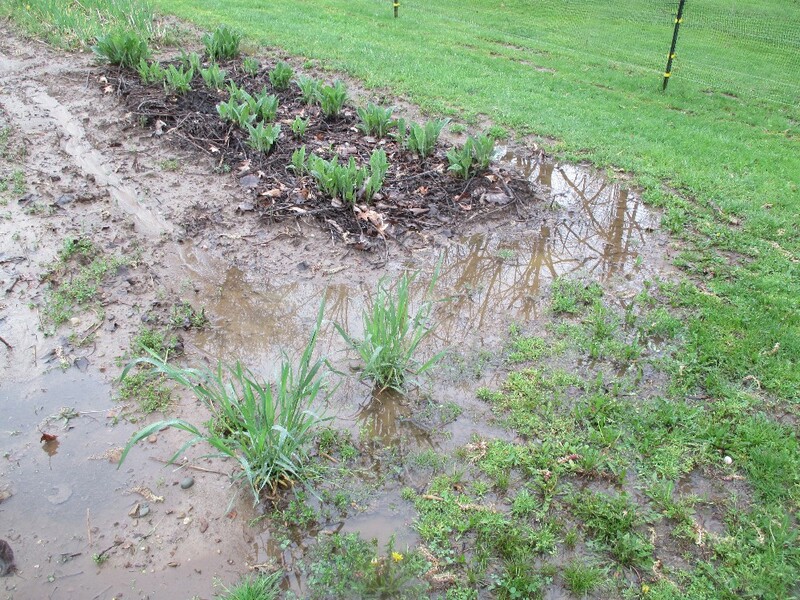 This May my farm received nearly 9 inches of rain. All this on top of already saturated soil from excessive rains in April, totaling 6 1/2″ with record flooding, which is uncommon where I live. 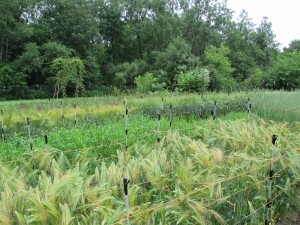 Amazingly, I have only lost one bed of Black Emmer Wheat that was waterlogged for a solid month. I look at this increasingly, all to familiar, situation in two ways. On the one hand, I hate to struggle with extreme weather events. The thought of losing crops is never a good thing. On the other hand, it creates a window of opportunity to see how crops react to such conditions as heavy rains, excessive soil moisture, and early periods of heat and humidity. This last week has been in the upper 80’s and low 90’s. In Northern Indiana the average temperatures for the end of May used to be in the low 70’s). It also begs the question; can a crop be adapted to excessive moisture? I am beginning to believe they can in certain cases, but this is a slow process of selection and adaptation. Finding new varieties that can be regionalized is also being put to the test. This spring I decided to go all out with new trials of heritage grains, including wheat, barley, oats and rice. 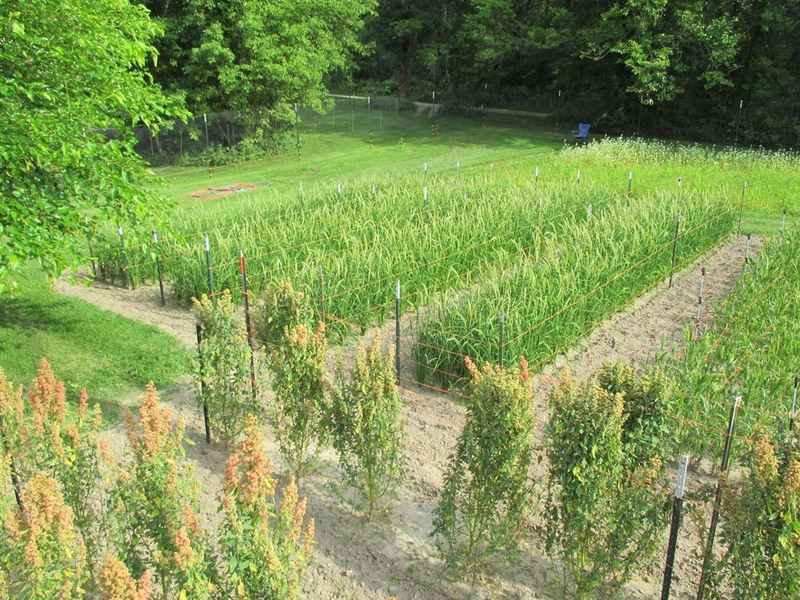 This decision to conduct numerous trials was the culmination of extensive seed exchanges these last 2 winters with folks across the US as well as growers in Mexico, Sweden, Czech Republic, Denmark, Canada, Italy and Estonia. I also accessed some interesting germplasm from the USDA. All in all, the seed was piling up and I am not one to just stick it in the freezer. Frozen seed does not adapt to anything. Hence, this spring I set out to trial as many suitable candidates as I have room for. I am looking specifically for varieties that are adapted or easily adaptable to the midwest. Occasionally I come across a variety that is not really suited for my region but, given it’s obscurity and value I keep growing it out. This would be the situation for Hourani, Jaljuli and Xinchan Rice Wheat. As has been the case for the last 5 seasons, any Heritage or Ancient trialed variety that produces viable seed of at least “fair” quality and quantity, will be available for growers this coming season. In the case of the Hourani, Jaljuli and Xinchan Wheat, I have suggested in the past that these would be a better fit for the arid west. This has proven to be true as reports from growers in Colorado and Southern California have confirmed great results with the Xinchan and Hourani. Much better than my meager attempts to maintain them here in Indiana. With that said, I will hopefully have another harvest of these “regionally questionable” varieties for the 2019 season. After that, I plan to focus on crops for the Midwest, and more specifically, the Great Lakes region. One example of this would be fall planted durum wheats and hulless barleys that can survive our zone 5-6 winters. 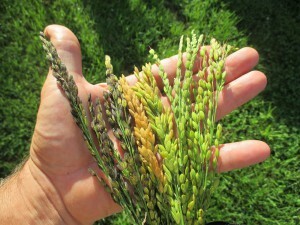 red rice varieties and some long grain upland rice. Interest in rice growing has really increased in the last few years. I predict 2018 will be a breakthrough for small scale, organic commercial rice here in the Midwest. I want to thank all my new customers this season and all the folks who have supported my efforts over the previous 5 seasons. I look forward to offering many new “old” varieties of cereal grains, corn, legumes, etc. for 2019. I wanted to take the opportunity to briefly share some exciting additions to locally sourced seed here in the Great Lakes/Midwest region. Over the past couple of years I have gotten a chance to meet and exchange seed with a number of growers here in Indiana and Michigan. While I appreciate all my customers from all 50 states, I am always excited to engage with local growers and gardeners who can benefit from my efforts at adapting grains and other crops to our regional climate. I wanted to mention a couple of regional seed growers who have started offering seed this year. Both are folks I personally know, have great respect for and above all, trust in their efforts to save seed, practice sustainable growing methods, and understand the need for regionally adapted seed sources. My current trajectory as a seed grower is to focus primarily on grains. While I do offer a fair amount of legumes, tomatoes, peppers and a few others, my future focus will remain targeted on grains. These new seed businesses are offering much more by way of heritage beans, squash, and other veggies. 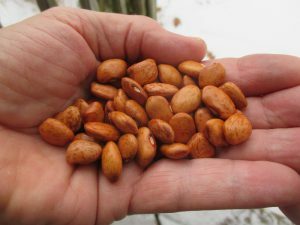 If you are looking to add some exciting heritage crops to your gardens this spring, I urge you to check out these 2 seed houses. They currently sell all of their own seed, grown “on farm”, in Michigan. First, I would suggest taking a look at Great Lakes Staple Seed. Operated by Eleanor and Scott Hucker, in Ortonville, Michigan. I received some of their bean seed last week (Alubia de Tolusa and Dolloff), and the seed was gorgeous and high quality! If you check out their website, you will find a great assortment of rare legumes including lentils, peas, soybeans, and other various common beans. In addition, they also have some great squash and grain varieties. I know for a fact they intend to offer a broader collection of grains in the future. Scott has been busy working his way through the entire corpus of the KUSA seed collection. These are rare grain varieties that need to be grown out, curated, and made more widely available. Secondly, I would recommend taking a look at the Small House Farm, in Sanford, Michigan, operated by Ben and Heather Cohen. Ben has been busy helping to establish community seed banks, seed swaps, and seed libraries here in the Midwest. I met Ben in the fall of 2016, at a seed swap hosted by SEED Brown County, in Nashville, Indiana. They are now offering seed for a number of rare heirloom beans, squash and melons, as well as tomato and pepper varieties on their website. Small House Farm also sells cold pressed oils, seeds and nuts, and herbal body care products. I also want to mention two larger, established seed companies based in Ann Arbor Michigan. Nature and Nurture Seeds specializes in seed that is locally grown, adapted to the Great Lakes Region/Midwest, and Heritage and Slow Food Ark of Taste varietals. 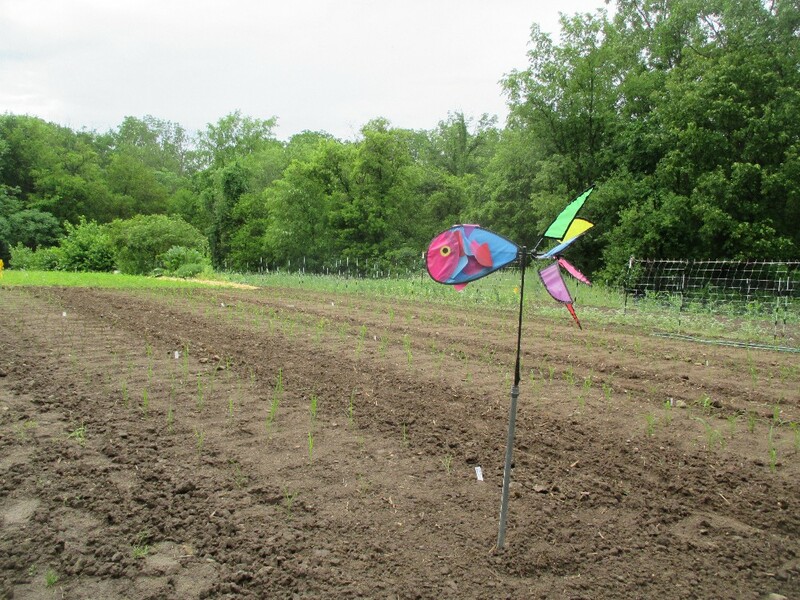 The Ann Arbor Seed Company grows and processes open pollinated seed in Washtenaw County, Michigan, with the goal of offering local gardeners/farmers an alternative source for vegetable and ornamental seed. Both of these seed businesses offer a broad variety of vegetables, herbs and flowers. Grow Soil First, Grow Food Second, and please support local farmers and seed growers! This season I have expanded the selections of Upland Rice, Wheat and Barley. Improved grow outs have enabled me to offer larger packets of some items like the Hourani and Dika Wheat, as well as some of the KUSA barley varietals. 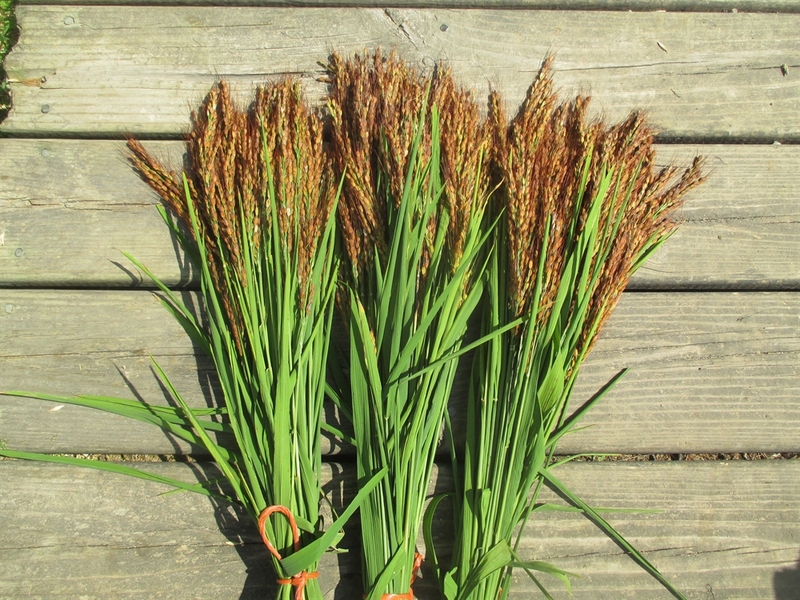 I am excited to offer 3 new upland rice varieties this season, Amaura, Zerwachanica and Italian Carnaroli rice. The Carnaroli is one of a group of heritage seeds sent to me from Italy last winter. In addition to this famous risotto rice, I also am offering Italian Marano corn (for perfect polenta), Italian Timilia Wheat and an Italian bean called Badda di Polizzi. I hope to incorporate more Italian crops in the coming seasons. 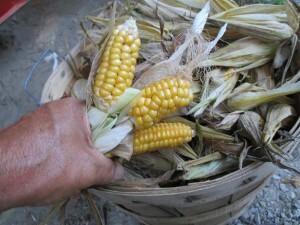 I also have added Bnugzegnug (Walpole Island White) flour corn. 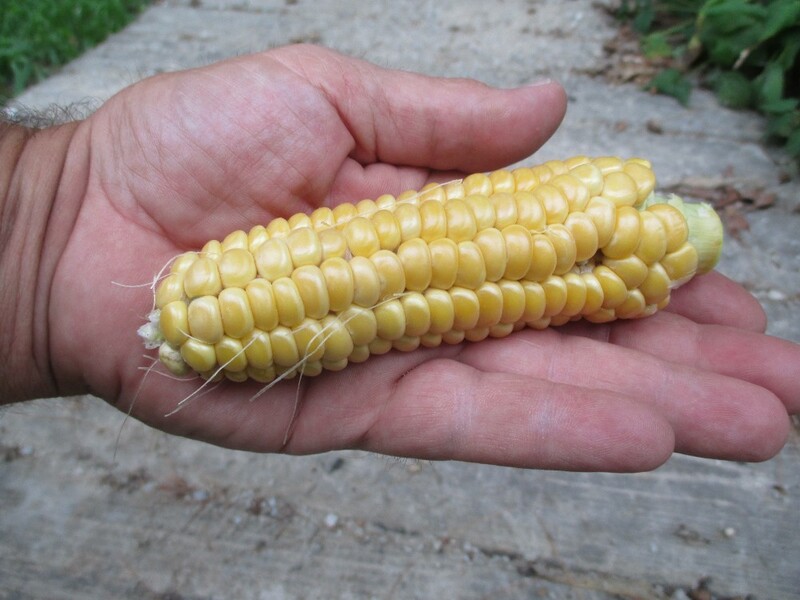 It has been a real privilege to be able to offer some of the traditional crops grown by the Potawatomi Indians. Bnugzegnug takes it’s place along side the Mskigwat flint corn, Potawatomi Rabbit Beans and Potawatomi Pole Lima Beans. In addition, there are also a couple new “rare” lima beans, North Star and Red Calico. 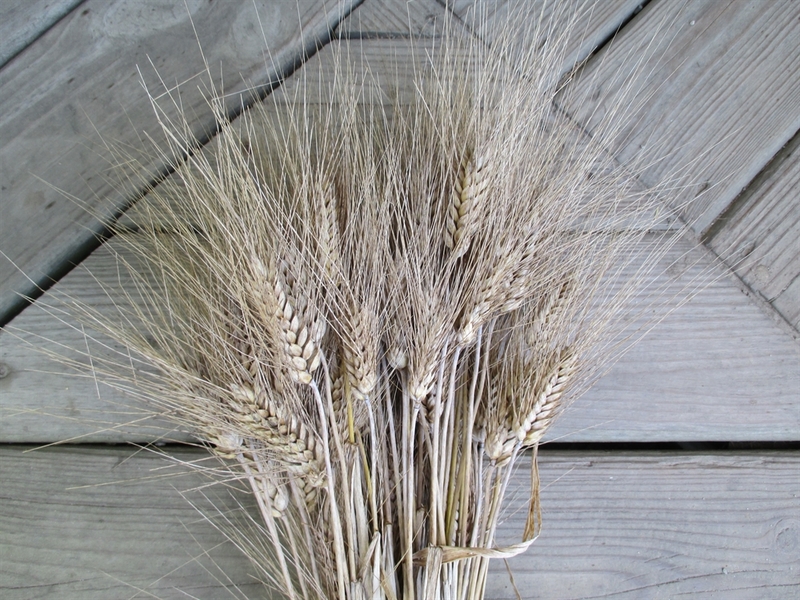 Two new “Old World” rye varieties from a “seed” friend in Estonia, Tvengsberg Midsummers Rye and Sangaste’. I also have a new barley, Trysilbygg, from seed sent to me from Norway, and 2 new strains of Einkorn Wheat; one from the Austrian Alps and another from the Balkans. Last but not least, I have added a Belorussian processing tomato called Permoga (seed from Estonia) and for those who love Gaspe’ corn as much as I do; I have a new strain to offer in addition to the one I have offered the last two years. My hope is to broaden the genetics for Gaspe’. It was a good year but with a few flops. I had really hoped to offer both a red and a black upland rice variety this season. They both turned out to be problematic. I have plans to trial some “better suited”, red and black upland rice varieties next summer. I also lost a crop of Norwegian wheat to rust (a fungal disease); and of course, daily battles with crazy rabbits and hungry, persistent birds Otherwise, it was a successful year and I greatly appreciate all my customers from last season and look forward to providing quality seed to any new. Already this Fall, I have had a series of wonderful phone conversations with folks from South Carolina, Louisiana, Delaware and Minnesota, to name just a few. Many of these calls were from farmers (rice and wheat). These conversations have provided me with tons of insights about these crops. To think, 5 years ago when I started selling seed, I was simply excited than I could grow one rice variety (Duborskian), successfully here in northern Indiana. Now I am up to 10 varieties and realize that I am just scratching the surface. Biodiversity is an amazing and important concept to wrap your mind around! Please check out the Resources and Community section on this website. I have added a lot of information about regional seed saving organizations, as well as information about equipment and links to websites dealing with specific crops. Ready To Take Orders for the 2017 Growing Season! 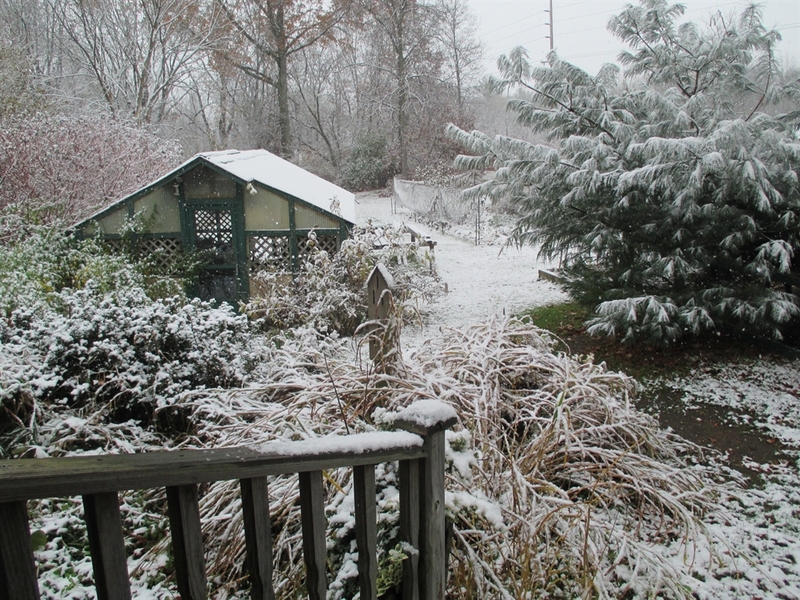 As I sit here typing this, outside, we are having the first snow of the season. The cold weather has been a little later than normal, and a lot like getting my website updated with all the new seed varieties for the coming season, 2017. I grew out a large number of new crops as trials this season, like lentils and a number of heritage and ancient wheat varieties. They did so well that I have enough seed to offer some to interested customers. A number of these new crops are not “tried and true” cultivars for my region, here in the Midwest, but I believe they are important enough to make available. I have added specific information to each crop’s corresponding page, listing them as “for preservation purposes”. I have also added a number of new crops that are indigenous to the north, like Potawatomi Pole Beans and Potawatomi Rabbit Beans, as well as Mskigwat Flint Corn and Darwin John Flint Corn. These are already well acclimated to our growing conditions here in Northern Indiana. 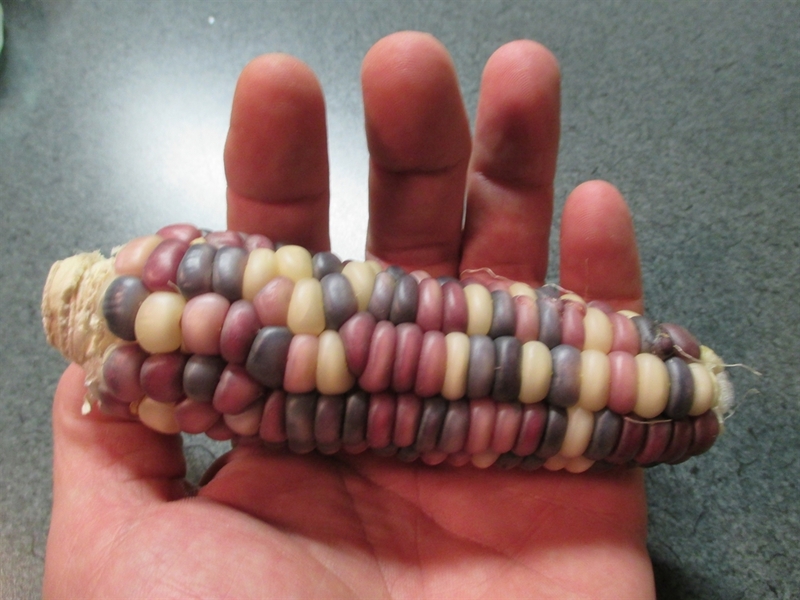 All are heirloom varieties from historical Native American farmers here in the upper Midwest and New England. I have also added 6 new varieties of rice from Japan, China and Italy. The two cultivars from Italy, Loto and Vialone, are both “risotto type” rice. All six of these performed superbly. I also have a rice variety, Hayayuki, suited for growing in zone 4! These are just a few of the new offerings for this season, as well the best of the previous seasons, like Kwintus Beans and Styrian Pumpkins, to name just a few. It has been a real stretch on my time and sanity to add this much new material, but I believe it was well worth it. All of this years crops produced great under difficult weather conditions. We had a 2 month drought in the spring, followed by one of the wettest summers on record. Overall, it is a real testament to the resilience of these heirloom and heritage, open-pollinated crops! Tombstones, Mummies, Vomit-toxin and Beer? Tombstones, Mummies, Vomitoxin, – three words that are not readily associated with a crusty loaf of bread or a frothy glass of beer. In truth, these are four words used when discussing a common plant disease which can threaten cereal grains like wheat and barley. This potentially devastating disease is caused by the fungus, Fusarium graminearum. 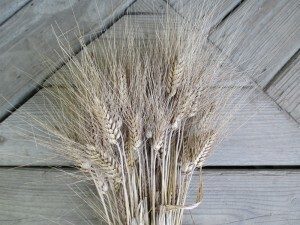 Farmers refer to its presence in a field of wheat as Fusarium Head Blight or FHB. I became aware of the potential threat of this disease two seasons ago while conducting grain trials here on my farm in Northern Indiana. 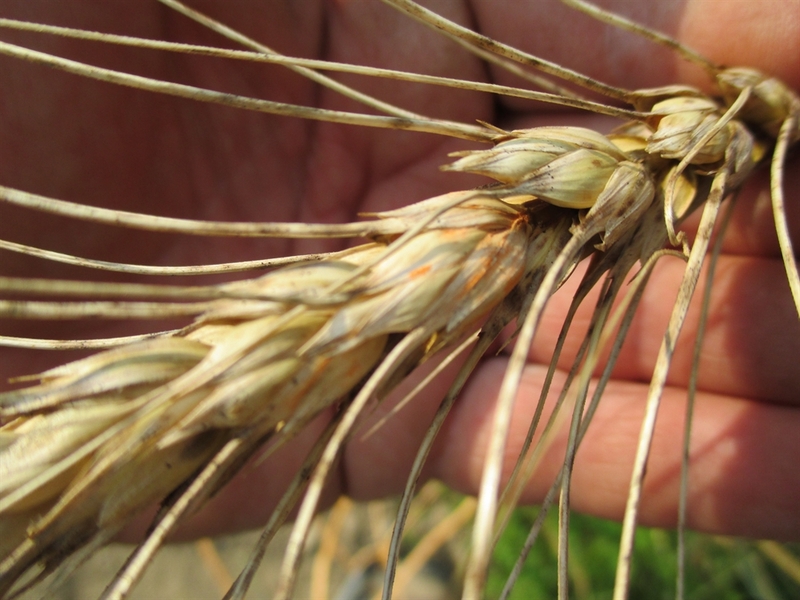 The unusually wet spring of 2014, brought the significance of this disease to my attention as I began to notice some tell-tale signs of infection on certain wheat varieties. This last season (2015) brought even more excessive and frequent rains throughout the spring and especially throughout the month of June. Prolonged, rainy and humid conditions are prime for the development and spread of FHB. Needless to say, with22 varieties of wheat and barley in field trials, the disease reared its ugly head again, and this time with a fury! The purpose of this post is to talk about the real threat this disease poses to the overall yield of cereal grains in the US and abroad, and to discuss one incredible tool sustainable farmers are utilizing to address this threat, the reintroduction of Heritage and Ancient grains. also be the distinctive pinkish-orange color on the grain spikelets. These are the fungal spores. Fields infected with scab can have lower yields and poor kernel development. These small misshapen kernels of infected grain are referred to as “Mummies” and/or “Tombstones”. Lastly, the term “Vomitoxin” (pronouced as vomit-toxin) refers to the mycotoxin “deoxynivalenol” which can be present in infected grain. The name is due to the fact that consuming this toxin in high levels can cause one to vomit, (people who drink to much beer frequently vomit, but usually not after the first glass). The industry has discouraged the use of the term vomitoxin, and prefers the more friendly sounding term, DON, (an acronym for deoxynivalenol). 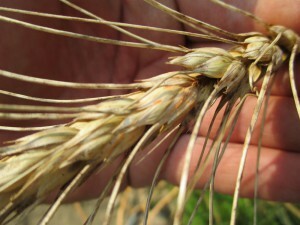 Grain infected with FHB, that does not necessarily mean that the mycotoxin, DON, is present. DON is not considered to be carcinogenic in low doses and the industry has high standards for screening to keep our food supply of wheat and barley free of any dangerous levels of this toxin. The FDA has set the allowable amount of DON present in finished grain for human consumption at 1 ppm (part per million). For animal feed the threshold is between 5ppm and 10ppm, depending on how the grain is used in feed rations. In the case of the presence of DON, infected grain can be run through a seed cleaner, like a fanning mill or gravity table, to reduce the amount of mycotoxin to a level that is suitable for food grade. These are just some of the facts as I understand them. The primary point I am trying to make is that this disease, which thrives during wet spring/summer conditions, is on the rise due to global weather weirdness. The agricultural industry considers this to be a serious problem. A increase in the frequency of spring and summer precipitation for the grain belt (that is what NOAA predicts), could spell trouble if no solid solutions for FHB are found. This could lead to a very hefty increase in overall food prices, and even worse, the global threat of more expensive beer!! 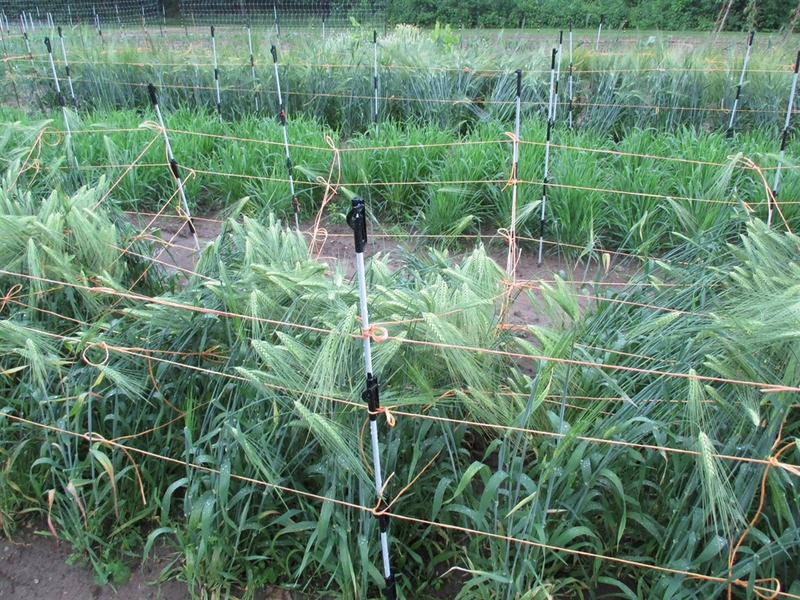 This last season I was presented with the perfect storm for FHB exposure to my grain trials. The whole midwest experienced excessive rain amounts. In some cases, like here in Northern Indiana , the rainfall hit record breaking totals for the months of May and June. I plant my barley and spring wheat varieties at the very beginning of April. The majority of varieties, including the winter wheat, begins flowering in June (with the exception of my Black Einkorn Wheat, it flowers about a month later). My records show that last June (2015) it rained 16 days out of 30. Four of those were extremely heavy downpours, which can lead to another problem called lodging (grain stalks fall over). I knew by the middle of June that FHB was going to be a major issue. On the one hand it was the absolute worst year to attempt wheat and barley trials. On the other hand, it was the best case scenario for trialing. I could not have created these extreme weather conditions in a lab or university greenhouse, and I got fantastic data on disease, lodging, and yield! Many of the new trials like White Einkorn and Dylan Wheat were major disappointments. Others though, like my strain of brown Einkorn, Banatka Wheat, Red Fife, and Turkey Red did quite well. All the heritage barley varieties did well, and I have a lot of confidence that the Sardinian Barley will be a real “stand-out”! The increase of disease pressure due to extreme weather events continually pushes me to consider heritage and ancient grain varieties. 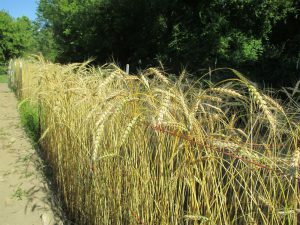 Farmers in the past have bred and adapted cultivars of wheat that are tolerant to fusarium and other diseases depending upon the diverse geographical regions in which they were developed. Many of these varieties have been lost due to factors like neglect of seed lines and apathy in lieu of more “advanced” cultivars. In light of the loss of such important genetic treasures, it is promising to know there still exists a great number of these varieties tucked away in government and university maintained seed banks around the globe. 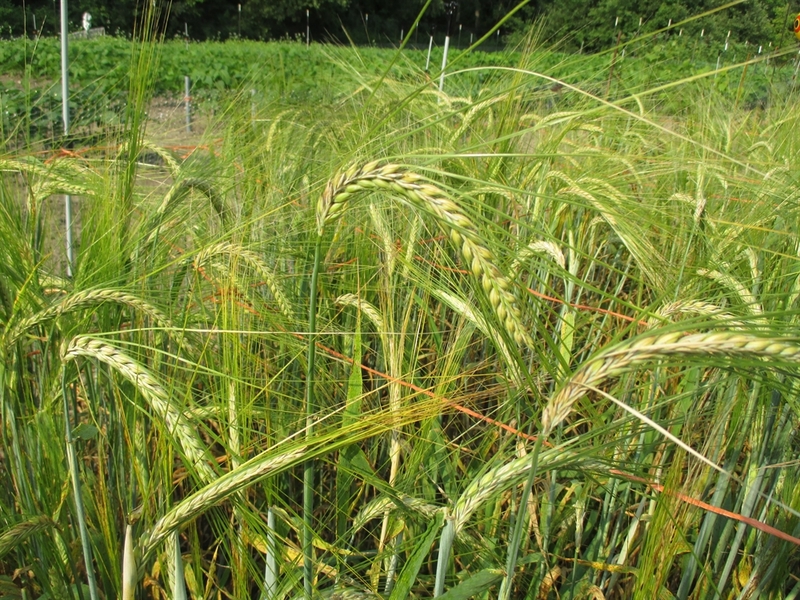 We are also learning that many of these heritage land-races are still being cultivated by small farmers in both East and West Europe, across Asia, and any other place where wheat had been historically grown and allowed to adapt. Sustainable farmers have the option to look to modern-bred varieties of cereal grains, but they also have the option to tap into these already adapted heritage and ancient varieties that have a diverse gene pool. For me, either of these options makes sense as long as the development of new varieties is accomplished through traditional plant breeding techniques. There are some great current breeding programs underway with an eye for developing new varieties for sustainable and organic farmers. I am especially encouraged by the numerous paticipatory breeding projects where farmers are in the drivers seat! On the other hand, genetically-engineered seed promise the potential for high yields, but is developed to be grown in concert with inputs like chemical fertilizers, herbicides, and pesticides. The current strategy in conventional agriculture for dealing with FHB does take into account the importance of proper tillage and crop rotation, and stresses the need for planting disease-resistant varieties, but it is also beginning to rely more and more on the use of fungicides. Traditionally, dryland wheat and barley farmers rarely resorted to the use of fungicides, but with the increasing occurrence of foliar diseases like leaf rust and FHB, such spraying is becoming automatic. under difficult conditions. They were also adapted to less fertile soils (or should I say, normal soils not pumped up on chemical fertilizers) and dryland farming. What farmers in antiquity accomplished over generations of observation and careful selection, modern corporate agriculture is attempting to do in just a few years. Shortcuts usually do not pay off in the long run, unless of course, the pay off comes via the sale of corporation owned proprietary seed lines, sold in conjunction with corporate fertilizers and pesticides. This post will have to be presented in two parts. I am eager to delve into the Heritage and Ancient grains varieties themselves. There is a lot more to the story than Einkorn, Spelt and Emmer. There is a noticeable change on my website for this coming spring; the absence of a list of plants intended for sale. This is no error. 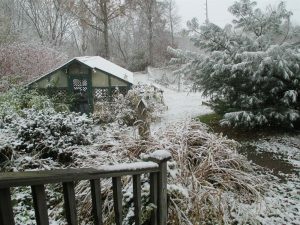 I am not selling plants this spring. As my involvement in variety trials and seed saving expands, I find that I do not have the time to raise plants to sell here at my farm and at the local farmers market. Last spring was extremely challenging, to say the least, as I strived to get all my crops planted, and take care of thousands vegetable starts. I have decided to pool all of my energy and time into working with the seed lines I currently have, and trialing out new heritage and heirloom varieties, with an eye towards finding crops that work well here in my region. The absence of spring plants will only affect my local customers, as I do not ship live plants via my website. After three seasons working with various grains and legumes, I feel I have a solid, basic selection that has consistently performed well under difficult conditions. These varieties I intend to continue growing out and selecting for attributes like: early maturity, disease resistance, extreme weather tolerance, etc., and plan to continue to offer these as seed through this website. This would include varieties like Kwintus Pole Beans (a customer favorite), Einkorn and Banatka wheat, all of the heirloom soybeans listed this year, etc.. The list would encompass most of what is currently available on this website, although I have dropped a few items in the past 2 years. Things like cotton and moth beans, which proved to be not well-suited for the North. Aside from maintaining the lines I have been working with, I am also planning to trial out a few new crops, like lentils (8 varieties), Cowpeas (4 varieties), garbanzo beans and fava beans. 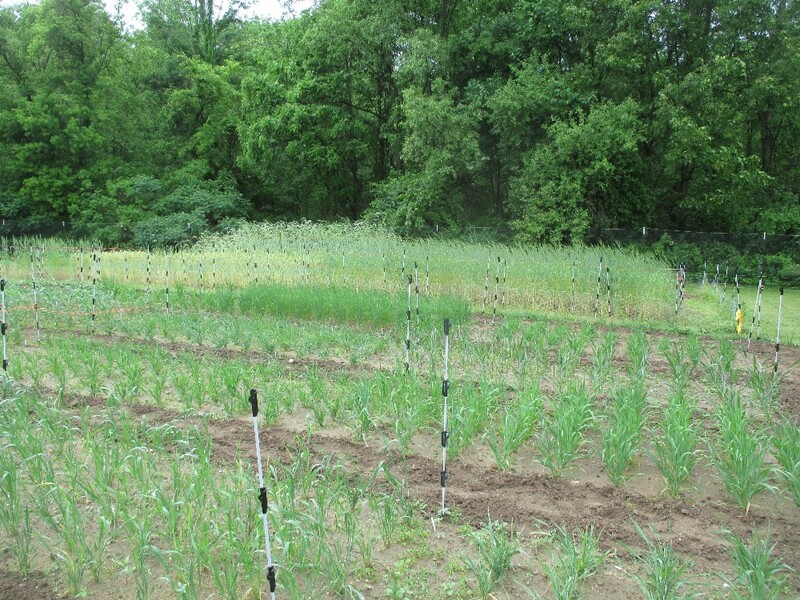 I am also raising 6 new varieties of heritage, cold tolerant rice; 2 lowland varieties and 4 upland varieties. The Duborskian Rice has done well for me here in a zone 5b, but it has proven challenging for folks in regions with cooler summers and shorter seasons. One of these new cultivars ripens in 95 days and is suitable for zone 4. That would be amazing! Wheat has continued to prove difficult for me here in Northern Indiana, given the excessive rainfall during the spring and early summers of the past two seasons. I have located a few landrace varieties from Eastern Europe (Georgia), Tsiteli Doli, Dika and Timopheevii. These were brought to my attention by an article written by Eli Rogsa , of The Heritage Grain Conservancy. In SARE funded trials conducted in the North East (2013), these Georgian wheats were totally free of Fusarium, even in excessively wet seasons. In addition, they are reported to have great rich flavor for baking. 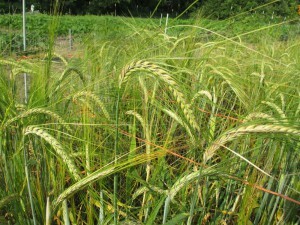 Plant breeders have used these wheats for years in developing, new cultivars of disease-resistant wheat. 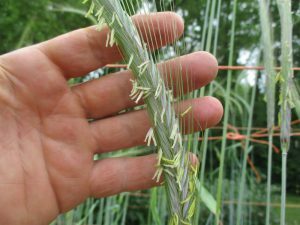 What has been neglected is the possibility of growing the landraces themselves, as some small farmers continue to do in Georgia. I received some of my seed from the USDA’s Small Grains Collection (NSGC), as well as some from a long standing SSE member in Vermont. I also have located seed for a promising strain of einkorn that is supposed to be easily dehulled without special equipment. That would be a real find for both small scale farmers and homesteads! There are a number of other cereal grains I am planning to trial out this season. I will discuss them in a future post. 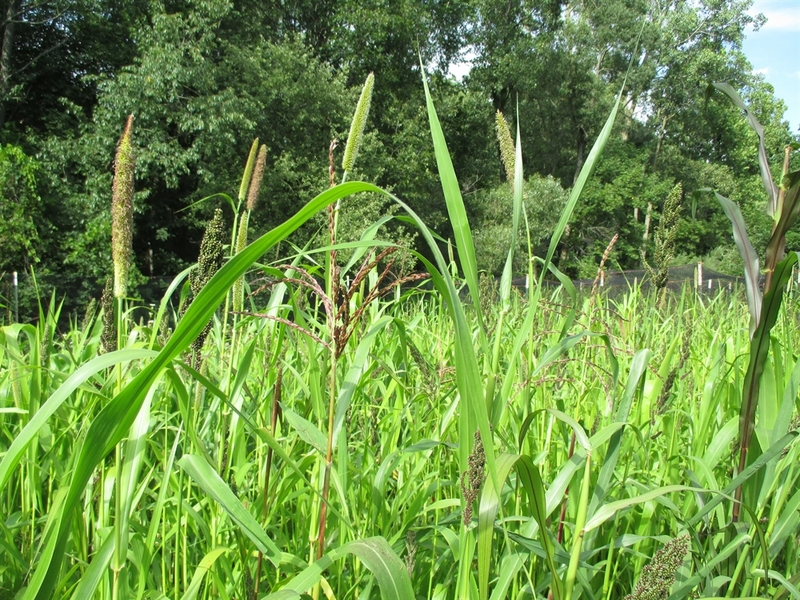 I will be growing a millet variety with the extremely-rare glutinous-trait (amylopectin starch). 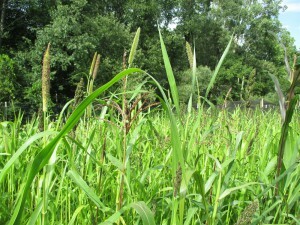 It is a landrace variety from Japan, called Tobi Bread Millet. I am planting this out along with an interesting short season (75 days) “grain” sorghum and two “popping” sorghum varieties. Most of the sorghum varieties I have grown in the past averaged 110 – 120 days to maturity. These may prove to be good options for zone 4! data keeping for future variety trials. 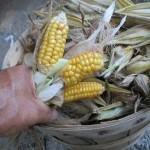 I want to be able to share more precise information about each crop, on this website. In the last two years, I have made some wonderful connections with other grower/researchers working on similar projects. I have been able to share a lot of my seed and data with these folks, and have received a lot of great seed and knowledge in return. There is also the opportunity now to duplicate some trial plots in multiple regions, with different soil types, and variances of climate. These would all be reflective of Northern regions, extending from the Northern Plains, through the Great Lakes Region and into the North Eastern parts of the US. I am also hoping to get feed back on some of my varieties from farmers who have the ability to conduct larger field trials than I am able to do. That will add a whole new layer of meaningful data to help me and other folks determine suitable staple crops for their gardens, homesteads, and small scale farms! I could go on but I will simply end with a, Thanks! Thanks, to all my customers and partners in this endeavor to bring back bio-diversity and common sense to agriculture. My primary goal is to locate, trial, increase seed stock, and make these incredible, overlooked varieties available to gardeners and farmers!! I have finally completed all the updates to my website and am ready to take orders, help with questions, and connect with new growers worldwide. This is my 25th year growing plants as a business. In that time I have morphed somewhat; having started with truck-patch farming, took a year off to work on somebody else’s organic farm, tried my hand at flowers for arrangements (which I absolutely adored), added vegetable starts, grew an orchard, (which is now someone else’s orchard), delved into medicinal plants and perennial vegetables, and finally turned my attention to staple crops like grains and dry beans. Four years ago, I stumbled into the place I should have started with: seeds. I believe I got my cart before the horse, but I am finally here (I think). This website represents the culmination of all that morphing and learning. The truth is, for every 1o things about sustainable agriculture I learn, I realize there is 100 more to figure out. The last three years of operating this website has allowed me to meet new growers in my own backyard, meet growers from across the United States, and meet growers from around the Globe! I never expected that. With these folks, I have offered my insights and answers to questions, but in truth, I have learned more than I have given. Thank you, customers, acquaintances, and new friends. I am especially happy about all the unexpected packages that have showed up on my doorstep, filled with seed for unexpected varieties that I am slowly growing out and making available. This season was difficult. Extreme weather, which is no stranger to anyone, anywhere, anymore, created a lot of anxiety during the growing season. In the end, the vast majority of my crops did well and I have bunches of high-quality seed. 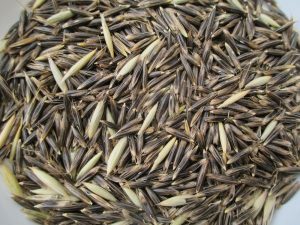 Some crops were complete failures but they should return again next year ( I have a large freezer filled with samples of all my varieties and “seed to be trialed”, for long term storage, kind of a mini Svalbard Seed Vault). For 2016 I have a number of new crops like Fastigiata Pin Striped Peanuts, Bere barley (make some Viking Beer! ), Wild Pea of Umbria, Gaspe Corn ( a dwarf, super early flint corn grown by the Micmac Indians circa. 1500’s), Julian’s Chile Caballo, rocoto pepper from Guatemala, and a few others. I have also increased my stock of heirloom barley varieties and heirloom soybeans. I am able to offer larger quantities for these important staple crops. There are a few varieties listed as “available soon”; these are still waiting their turn for germination testing. Once complete, they will be available for purchase in a few days. You will notice some changes in my price structure. Most seed varieties are the same price as last year. Some are the same price but with increased amounts. I have raised the price on a few varieties by 50 cents (this is so I can pay for my Yacht!). I work very hard to keep my offerings affordable. My shipping rate is still a flat $4.50 for all orders. Another season is drawing to a close and am I ever so ready for some rest from working in the fields. This year I planted more area than ever before, primarily because I had so many new crops to trial out. I did have some extra help which made getting all this done possible. Special thanks to Patricia and Ben. The initial plan was to trial out a number of heirloom barley and wheat varieties. This has always been the weakest link in my attempt to grow out as many staple crops as possible. Cereal grains can be very tough here in Northern Indiana. Our wet springs and variable temperature swings can wreak havoc on pollinating and maturing grains like rye, wheat, barley, and oats, not to mention lodging, due to heavy rain fall and wind. These crops traditionally have been raised in areas which are more arid, but due to the droughts in the West and increasing unstable weather patterns in other parts of the US, farmers are beginning to look at more diversification, outside of the crops they traditionally grow. This trend is national and global. My hope is to play a tiny role in this process, by helping to locate and determine the feasibility of certain crops that could be grown in my community. This year, as well as last year, have proven to be challenging to cereal crops. They were two of the wettest springs in my memory. In actuality, this provided the “best case scenario” for trialing out heirloom grains like Hourani Wheat, Turkey Red Wheat, and Sardinian Barley, just to name a few. The continually wet conditions eventually brought on an outbreak of scab and other minor foliar diseases. Of the 23 varieties I grew, only a handful did well. Early on (especially in June, when we had 16 rainy days) I would have felt lucky to find one wheat and one barley variety to consider for growing out in 2016. As it turned out, after harvesting and threshing all of my cereal crops, I now anticipate there may be a couple of wheat varieties that did great, and as many as 5 barley varieties showing great promise. I still have some testing to do for DON (the toxin which can be present when you have an outbreak of scab). Once I have all this data, I will make my results available in a future post. Another goal was to plant some multi-cropping plots and test out growing 7 different crops all in the same space. I got the idea for this from reading about the Baranaja cropping system of the Himalayas and the Pannendu Pantalu system of the Deccan region in India. Basically, it is a variation on the three-sisters method utilized by Native Americans. I planted 4 types of millet (Pearl, Foxtail, Proso and Japanese Barnyard) along with Painted Mountain corn and Dale Sorghum. I also seeded 2 types of legumes into these beds. One bed got Red Ripper cowpeas and the other, Moth beans. I was not sure this project would be possible back in May, when my soil was to wet to plant. A large portion of my fields went unplanted and eventually were sown with a buckwheat cover crop. I had planned on a large plot for the multi-cropping system, but had to settle for 2 100 square foot beds. Enough to test and learn a few things. I plan an update on this once all the crops have matured. Exciting stuff if you are a farm “geek” like me. I also continued my trials of heirloom soybeans. Another year of seeing how they perform and a substantial increase in my seed stock. I will be able to offer larger packets of seed for some of these incredibly important staple crops. and Seed” to simply “Sherck’s Seed”. I no longer sell produce (knock on wood) and am growing fewer and fewer plants to sell in the spring. I want to devote all of my energy into continuing with adapting and growing out seed. I will also have a few new crops to offer for 2016, Gaspe corn, Fastigiata Pin Striped peanuts, wild soup peas “Pisum Arvense Roveja Di” and Egusi watermelon (grown for their super delicious and nutritious, protein packed seed). 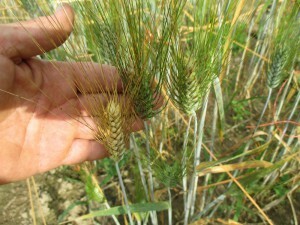 There are a few others, like the Sardinian Barley ( I believe this one will prove to be a highly adaptable and vigorous! ), which I plan to grow out again next spring to increase my seed stock, and begin to offer seed the following year. Again, thanks for your interest and support.